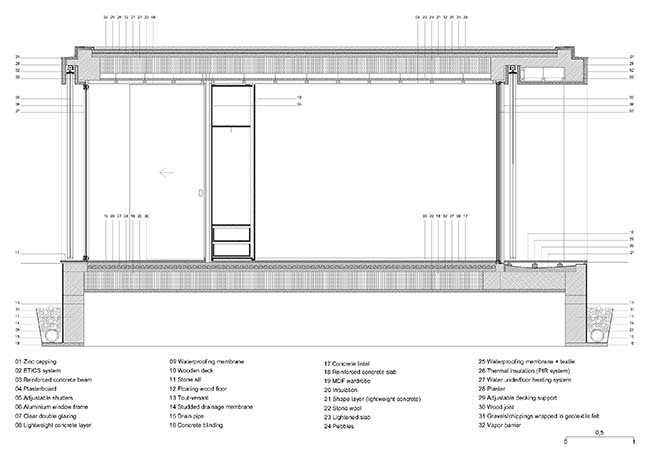 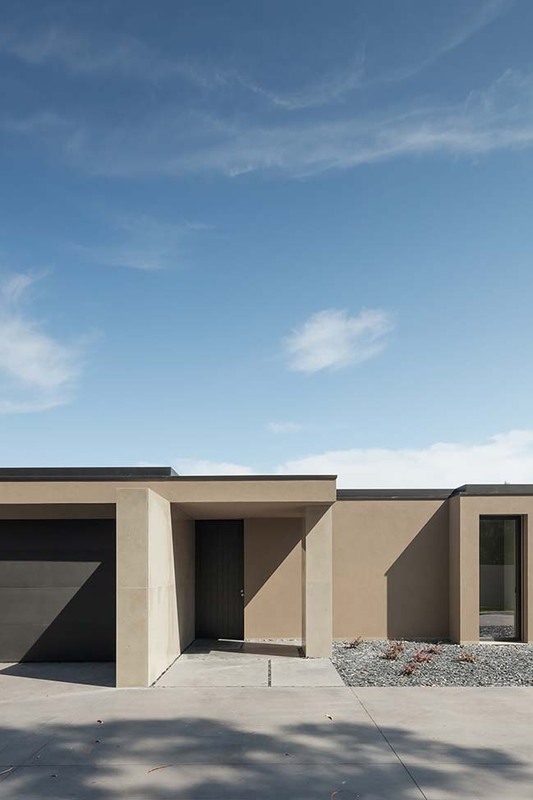 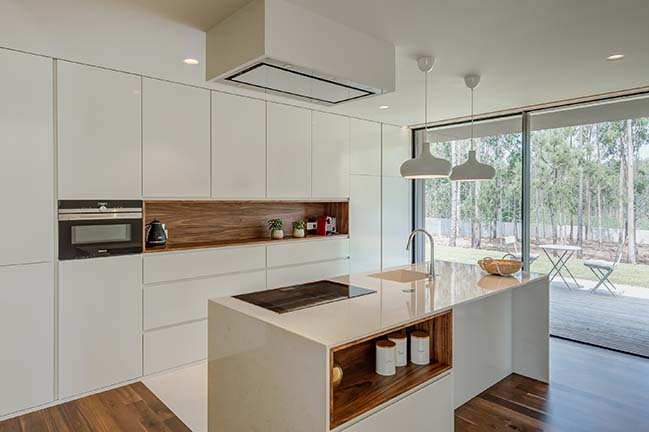 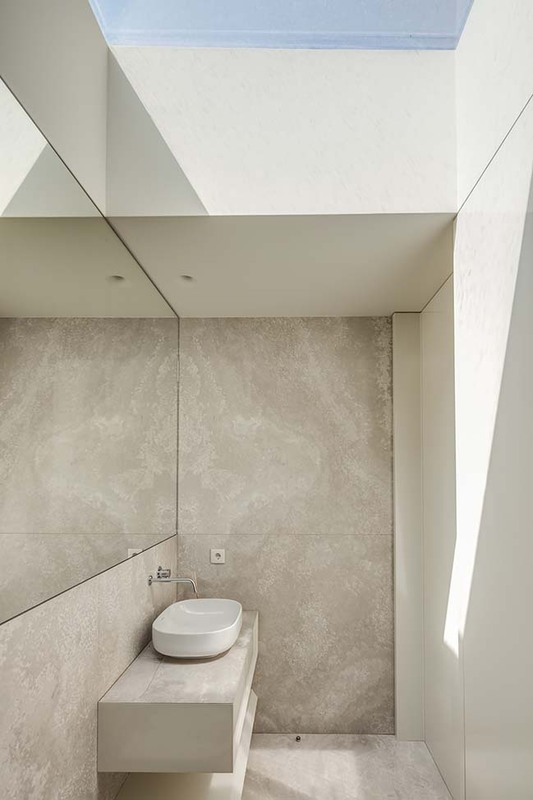 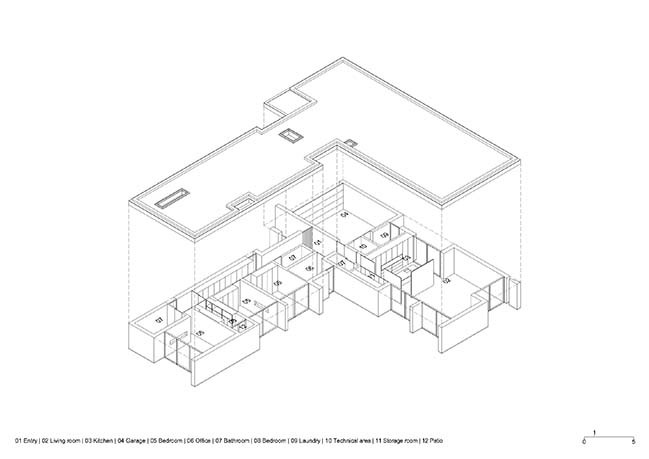 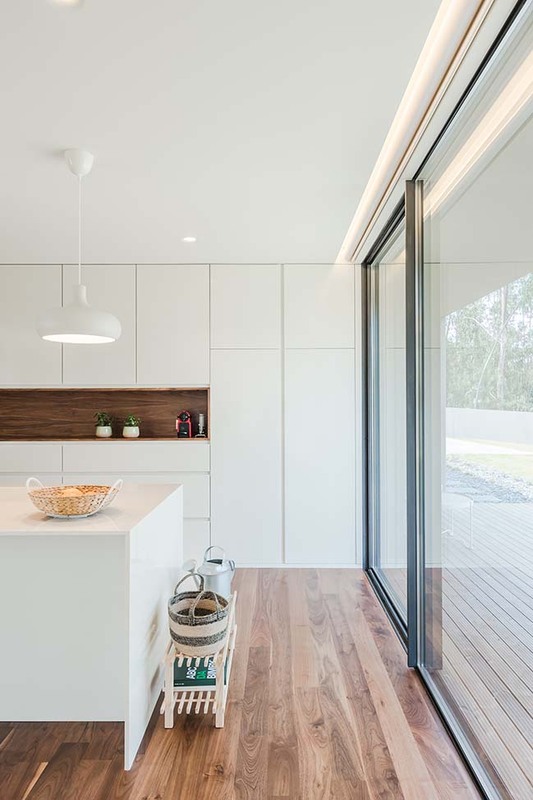 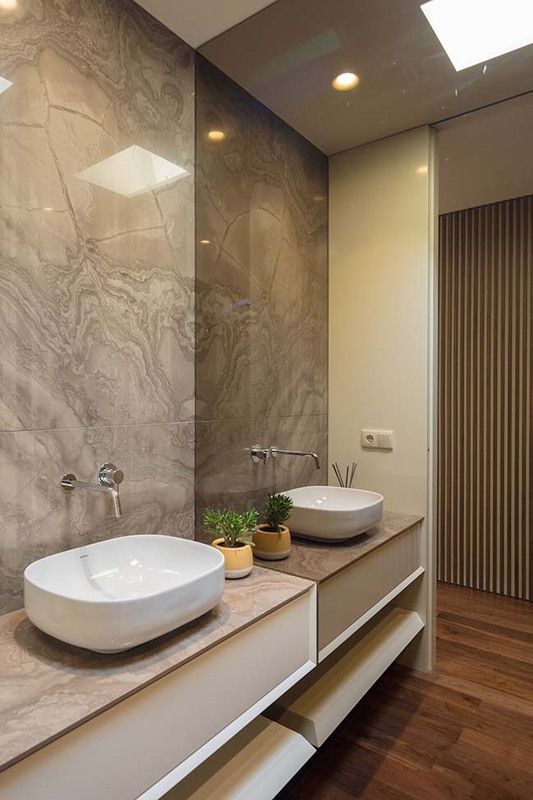 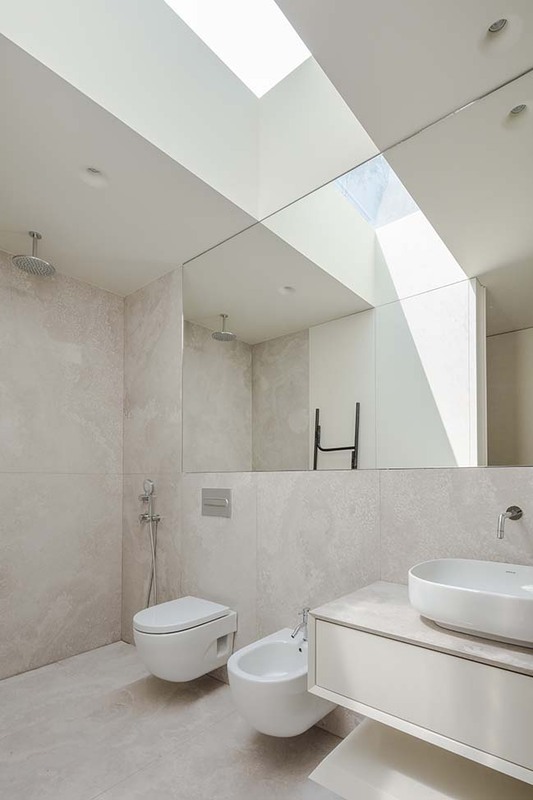 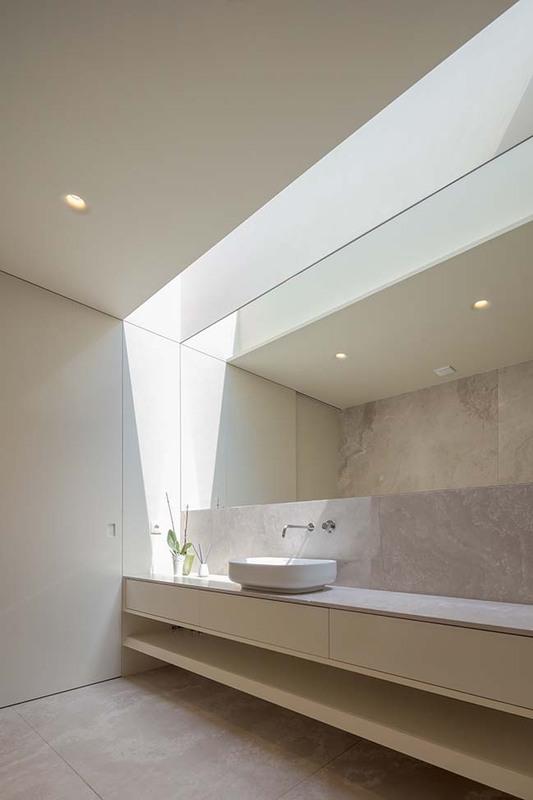 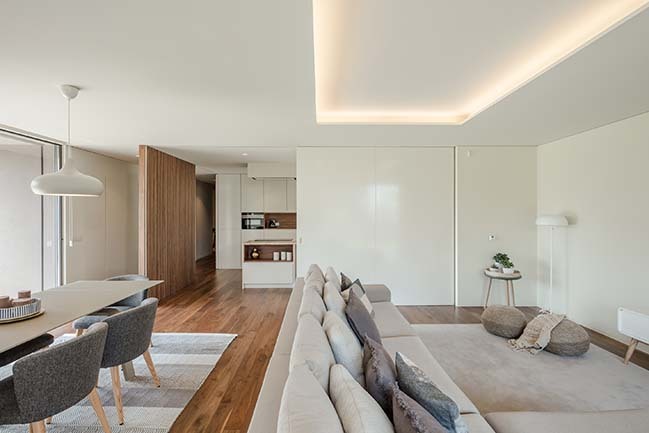 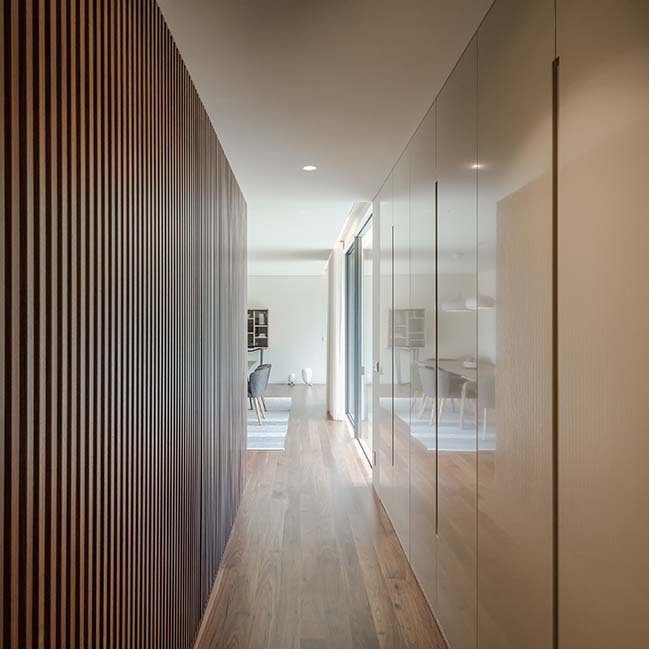 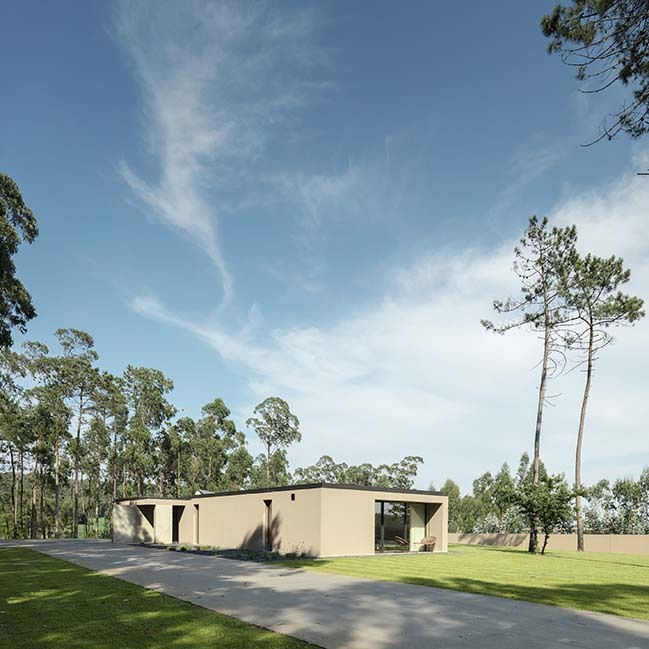 Completed by Raulino Silva Arquitecto. 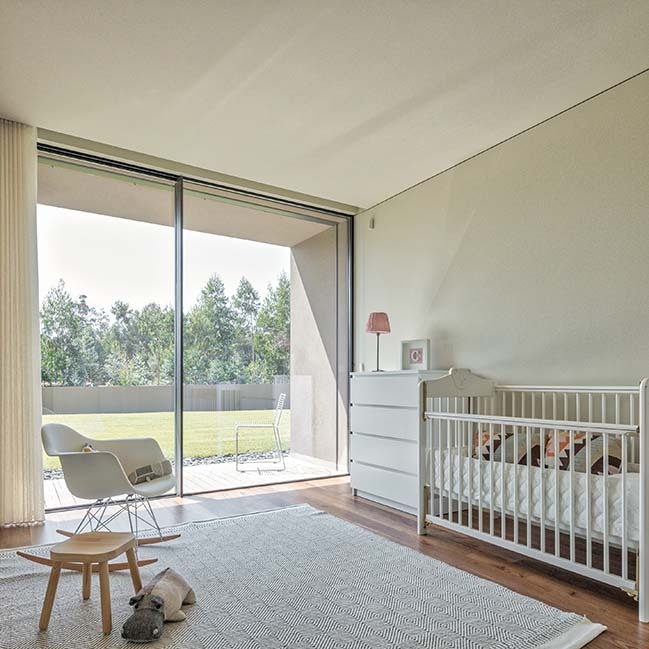 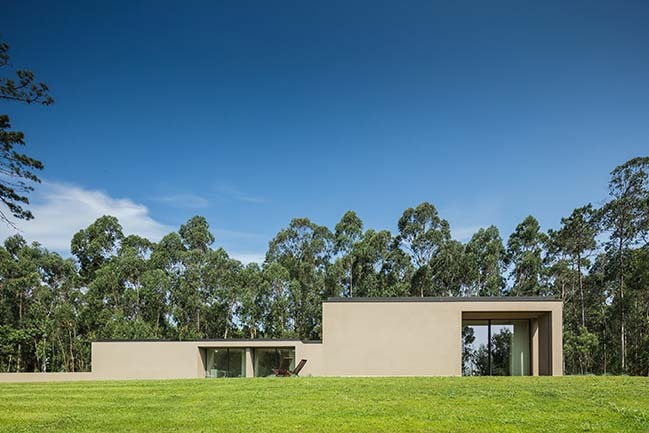 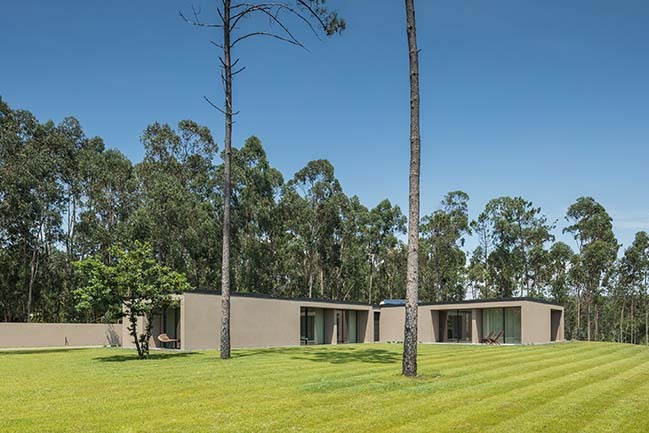 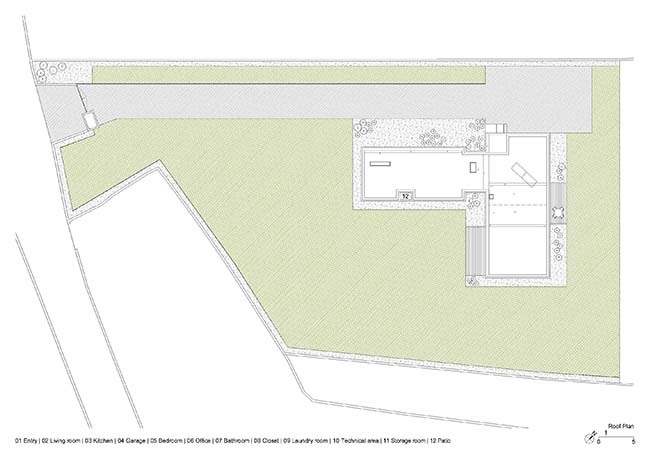 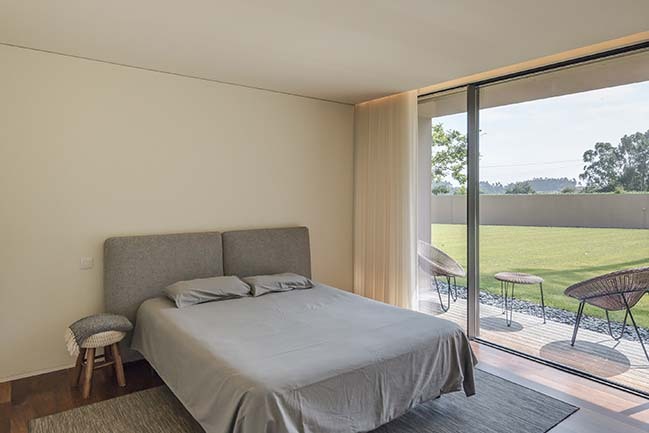 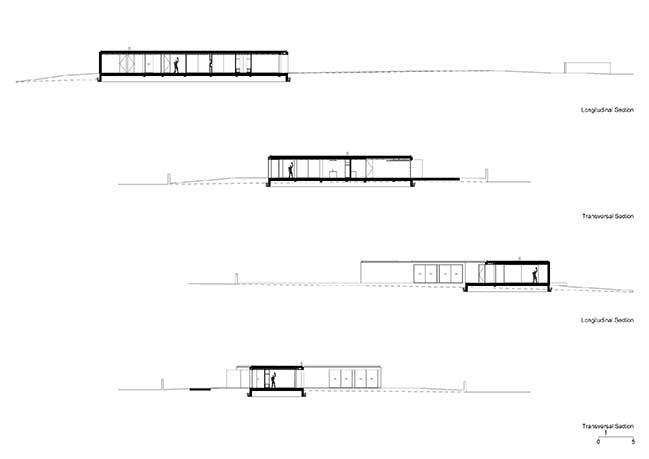 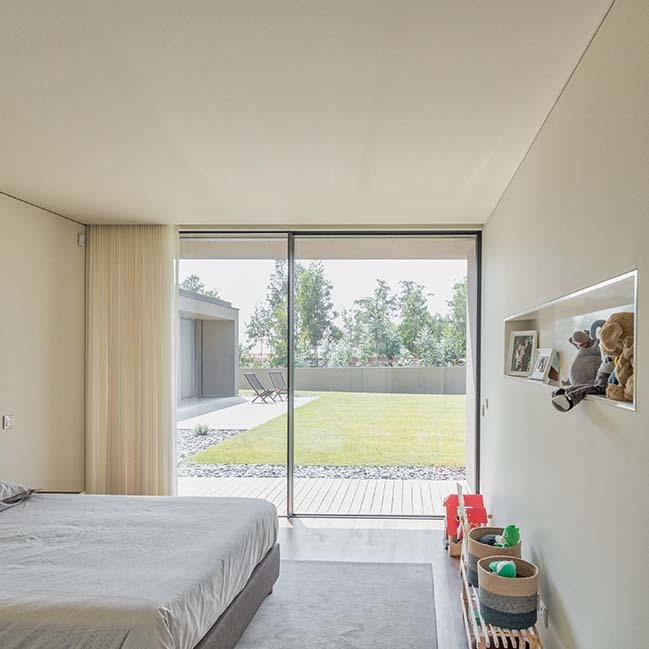 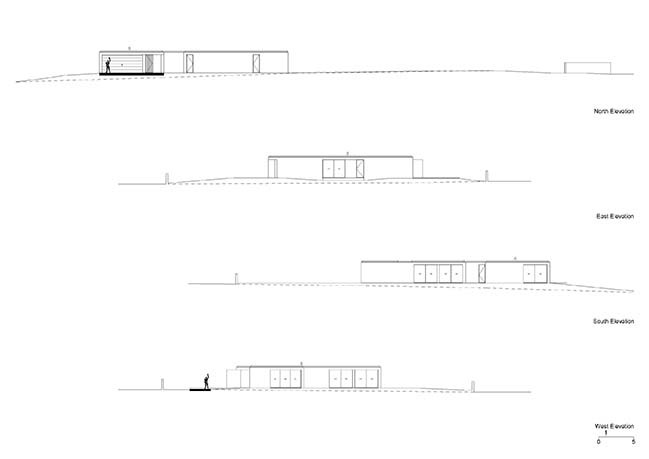 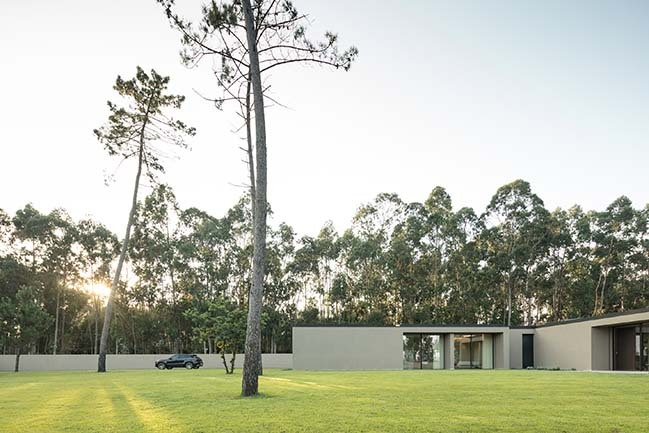 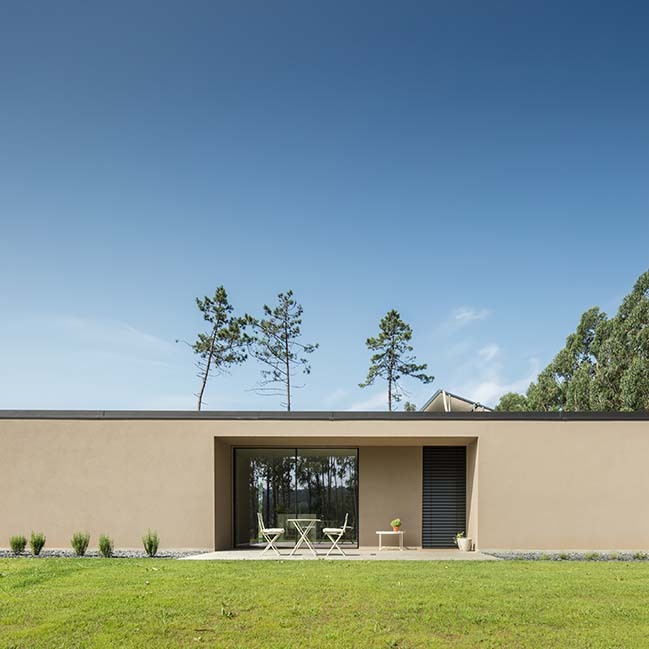 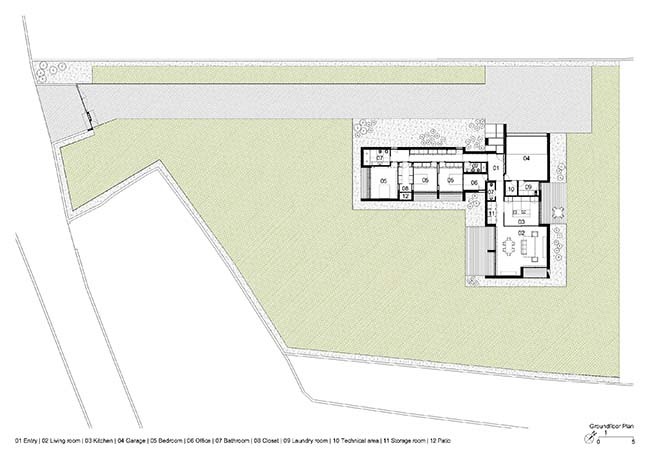 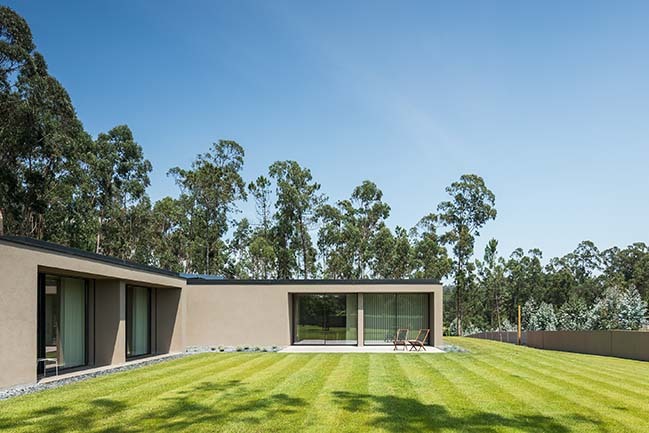 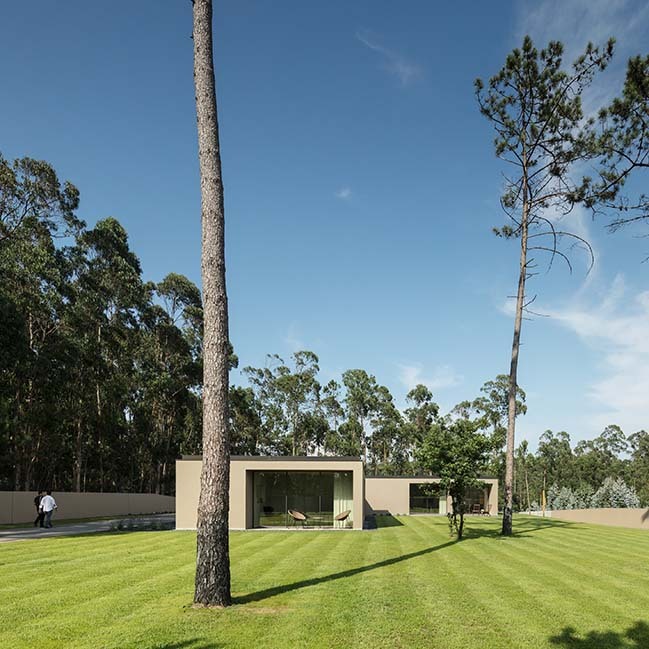 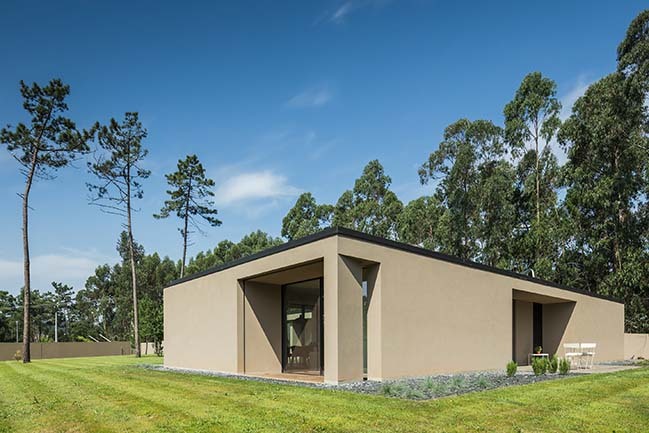 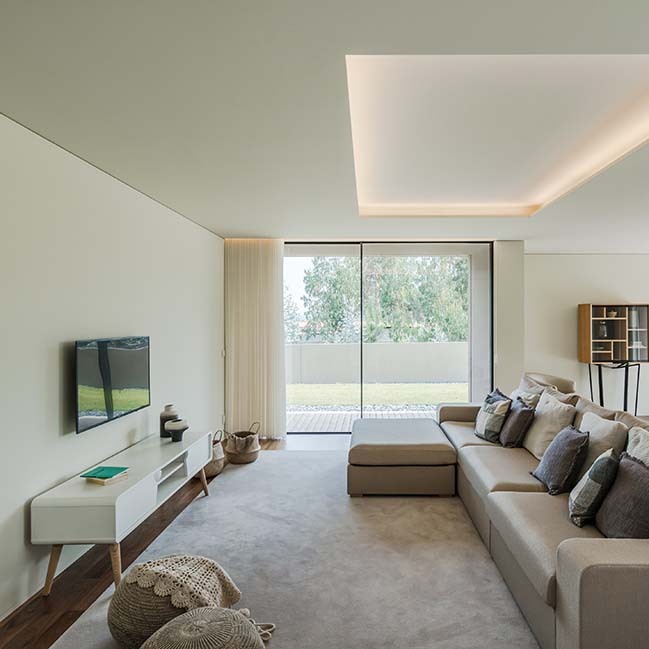 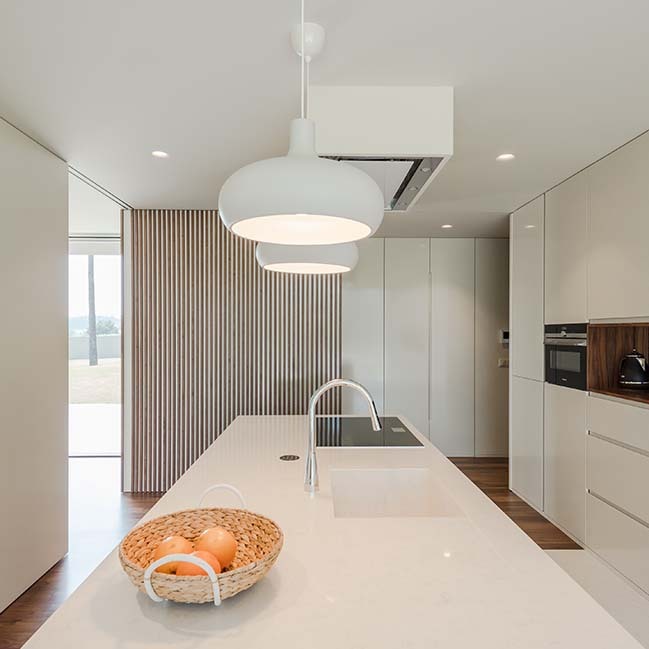 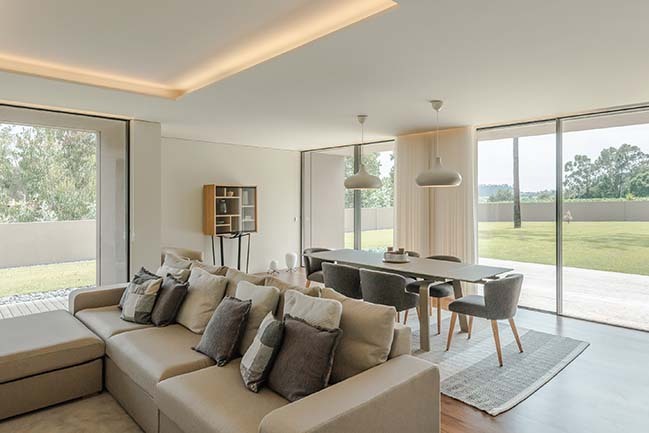 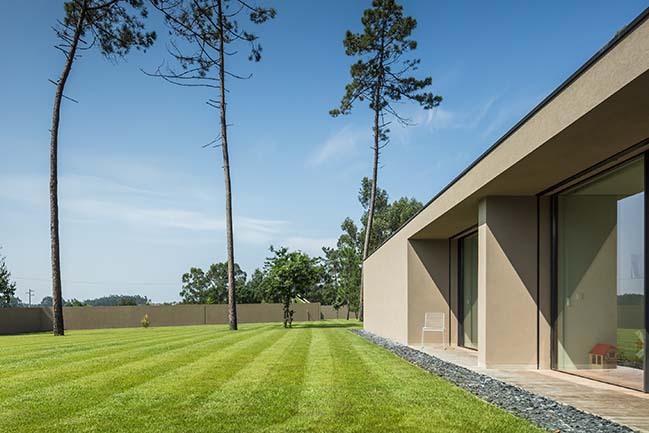 Rio Mau House is located in the countryside of the outskirts of Vila do Conde. 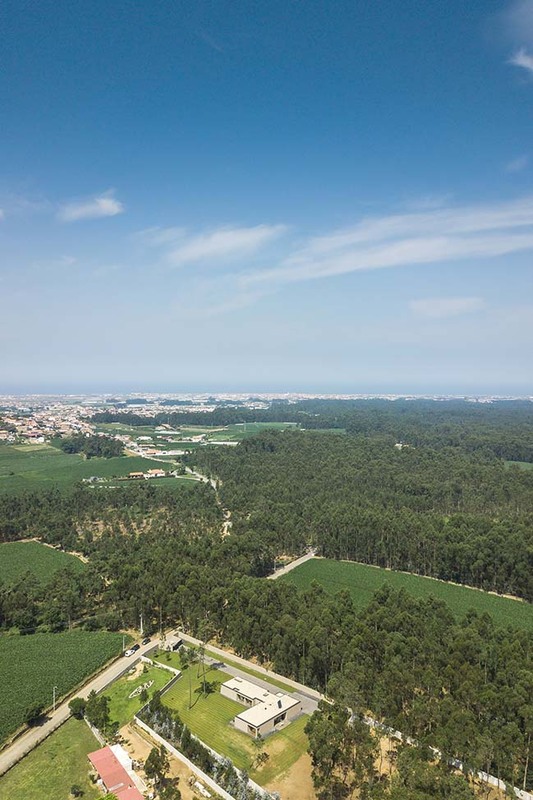 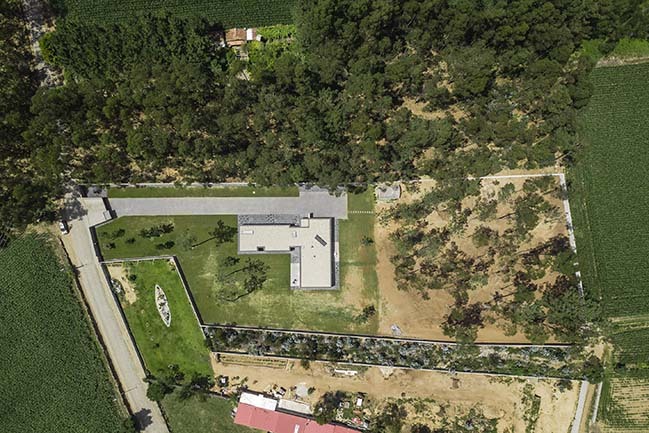 The land plot with about 6800 sqm is surrounded by cultivated fields and pine forest near Serra de Rates. 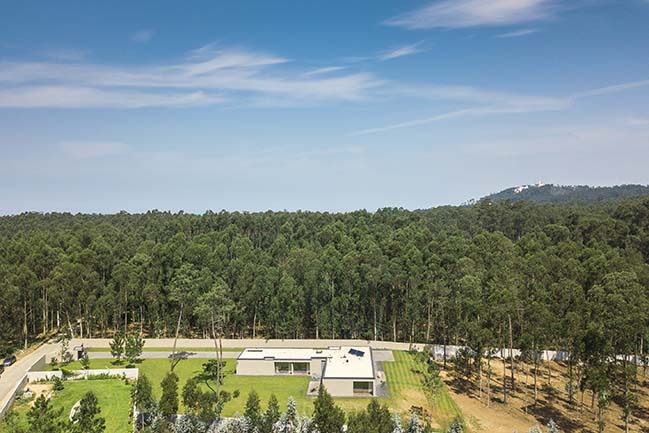 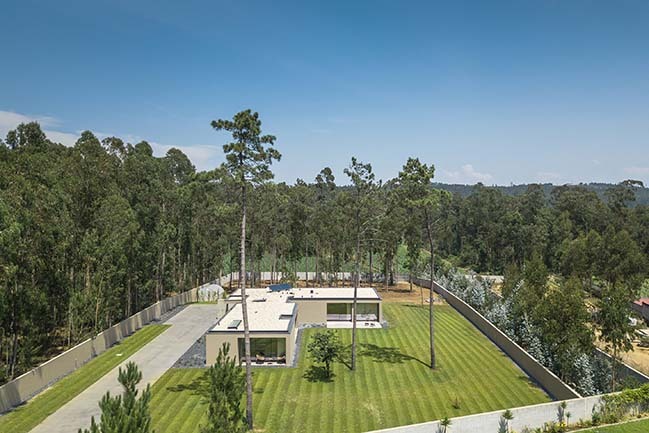 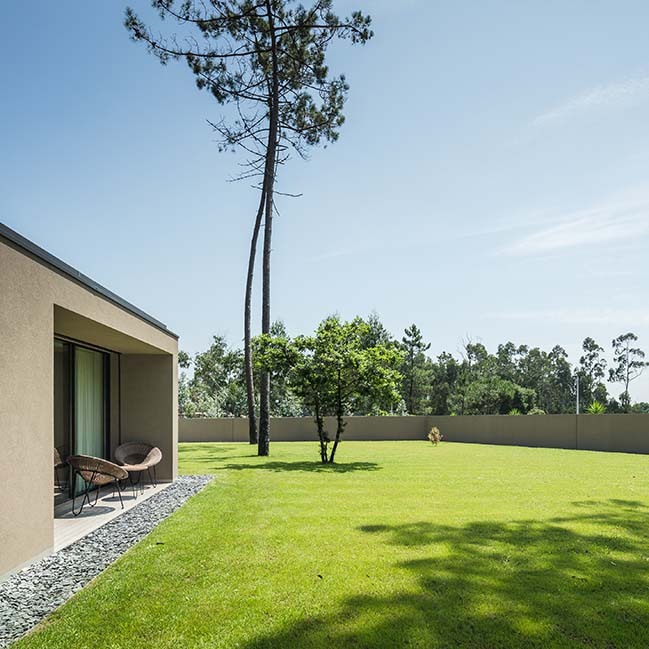 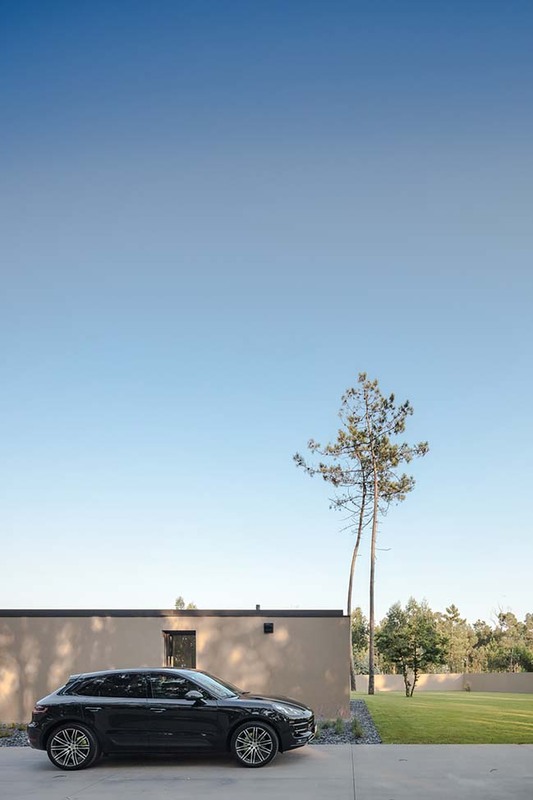 From the architect: The family house with a single floor is located in the center of the garden surrounded by some existing pine trees. 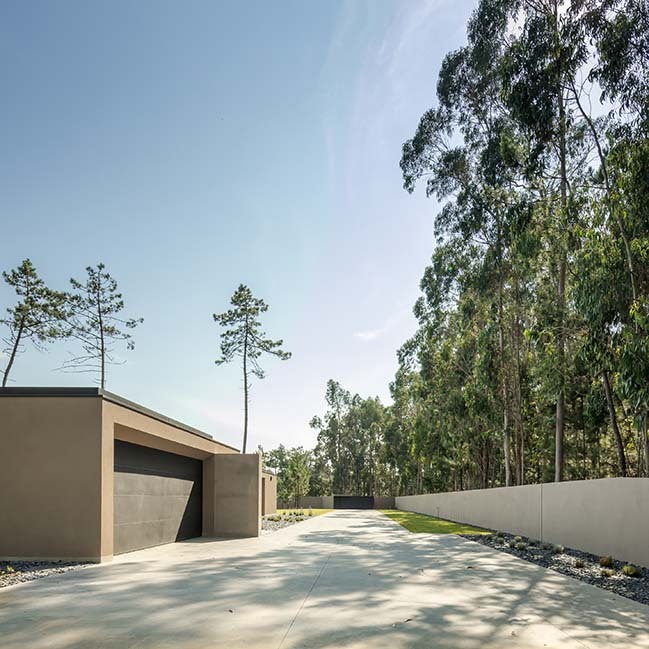 The car and pedestrian accesses through the north zone are highlighted by an entrance porch and a black concrete paved area.